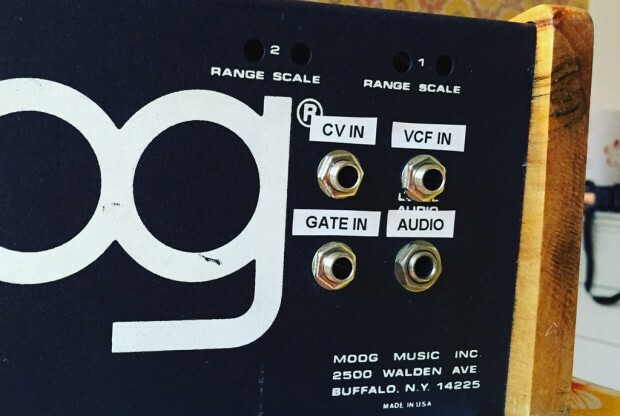 The Moog Prodigy is a lovely synth, but early models lack input and output for CV/Gate, it is however possible and relatively easy to add this. This post is an note on how I did it and some things I learned along the way. Maybe it can come in handy to others. There is a ”Factory Service Bulletin” issued by Norlin Music that describes how to to this modification. It’s an easy and fun mod to do because the build quality of the Prodigy is great, the components are clearly labelled and there is plenty of space inside. The modification differs between various revisions of the synth. 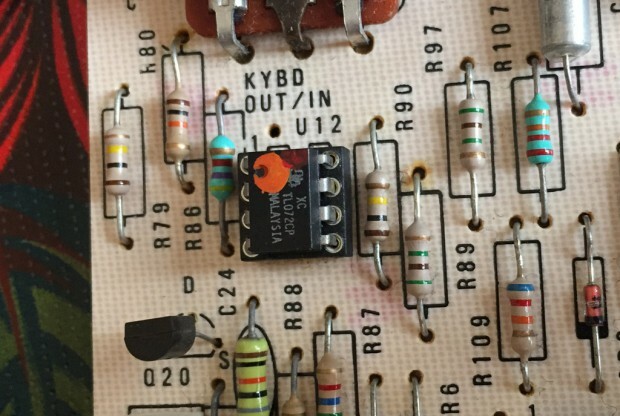 Look at the back of your Prodigy for the serial number, and then look up the corresponding instructions in the service bulletin, which you can grab here. Read the instructions in the service bulletin carefully. I take no responsibility if things go wrong. Mine had a serial number between 4160 and 8077. 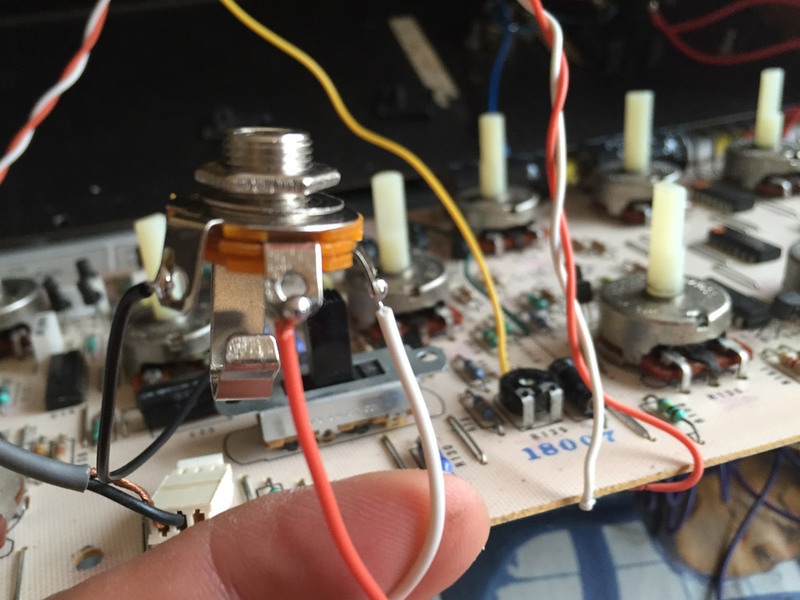 Here’s how I did to add inputs for CV, Gate (v-trigger) and filter CV. It is also possible to add output for CV and gate, audio in, sync in, osc in or s-trig but I didn’t want any of that. The switched jack is a really simple but ingenious construction. When a plug is inserted the signal comes from from the tip of the plug, but when no plug is connected a simple mechanical construction connects an alternative signal that is provided internally. 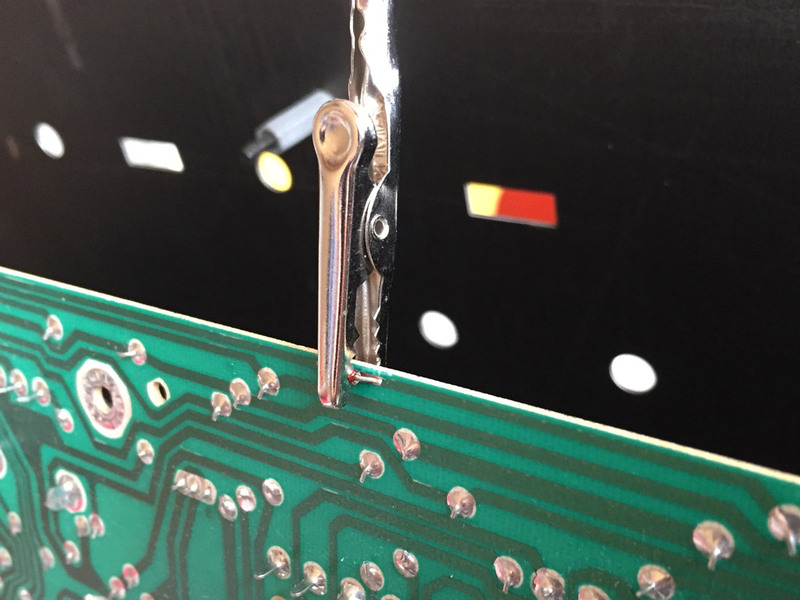 You need to find a good place on the back of the synth to drill holes and place the jacks and their labels. Close to the audio out jack is a good idea because there is space, there is already ground routed and it’s possible to fit a few jacks nicely without having to abuse the logo. I found drilling really tough. Make sure you have a good metal drill, a sturdy wooden surface to press against while drilling and make sure to punch a center mark before drilling. 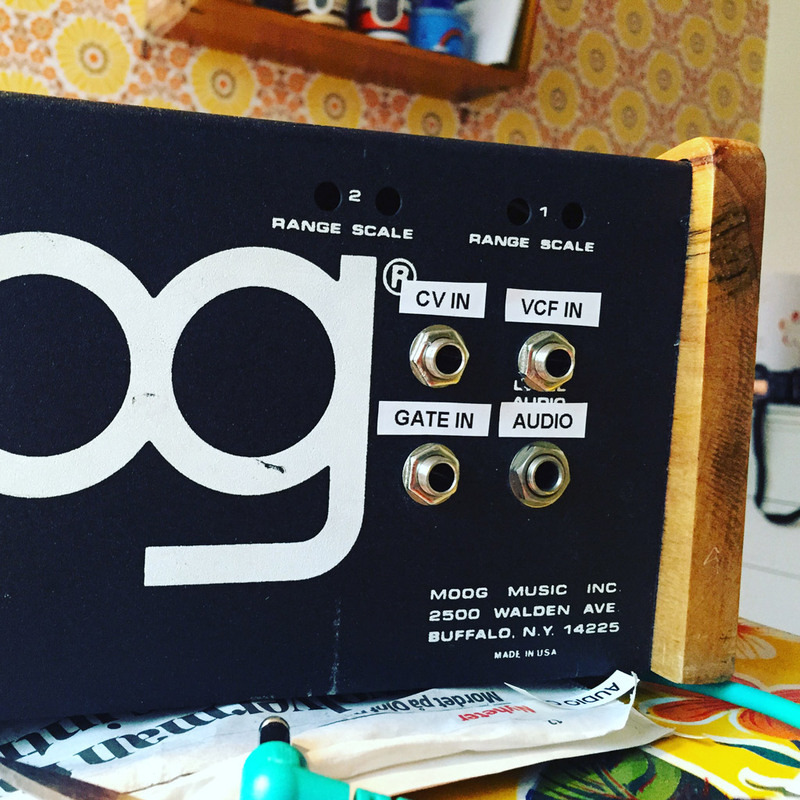 A v-trigger gate signal sends a high pulse when the synth should trigger a note. It’s also possible to do add s-trigger gate, which does the opposite – grounds the signal when a note is to be played, but v-trigger is more common. 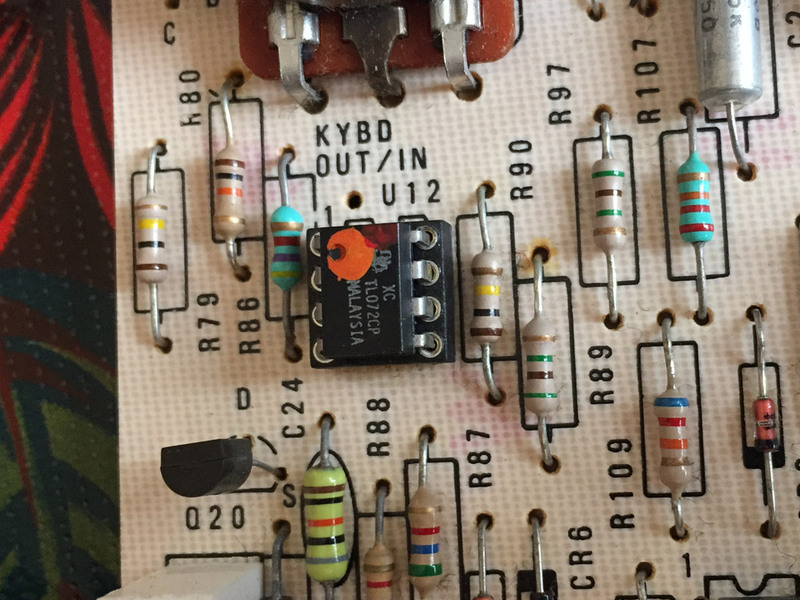 Locate resistor R153, and the trace that runs along the bottom that connects to R153. Cut the trace about 8 cm away from R153. Cut a couple of times carefully with a sharp knife. 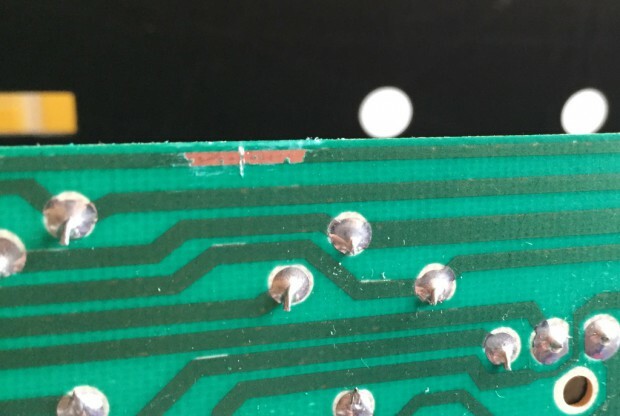 Scrape off the solder mask on both sides of the cut, about 0,5 cm in either direction, with a flat screwdriver or a knife. Verify with the multimeter that there is no longer an electrical connection across the cut. 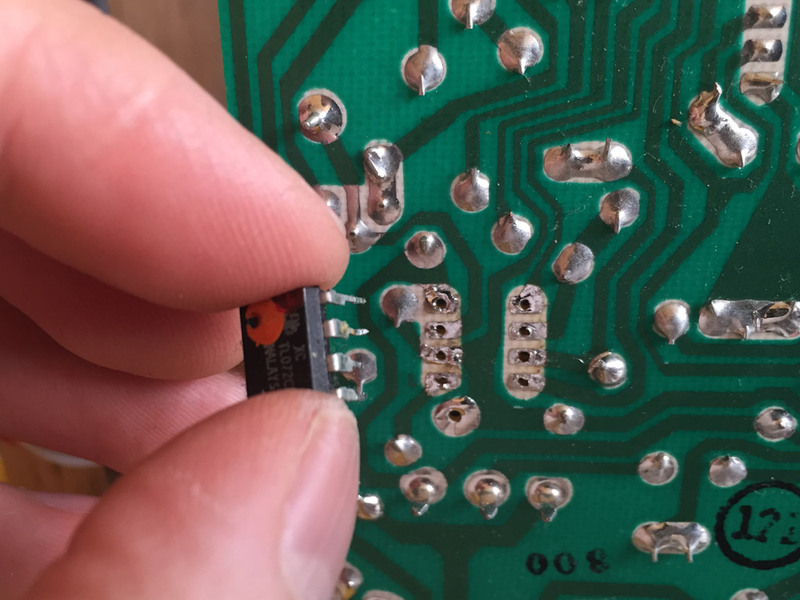 Solder the diode across the cut with the cathode pointing towards R153. The cathode is the side connected to minus polarity that is indicated by a black or white band. 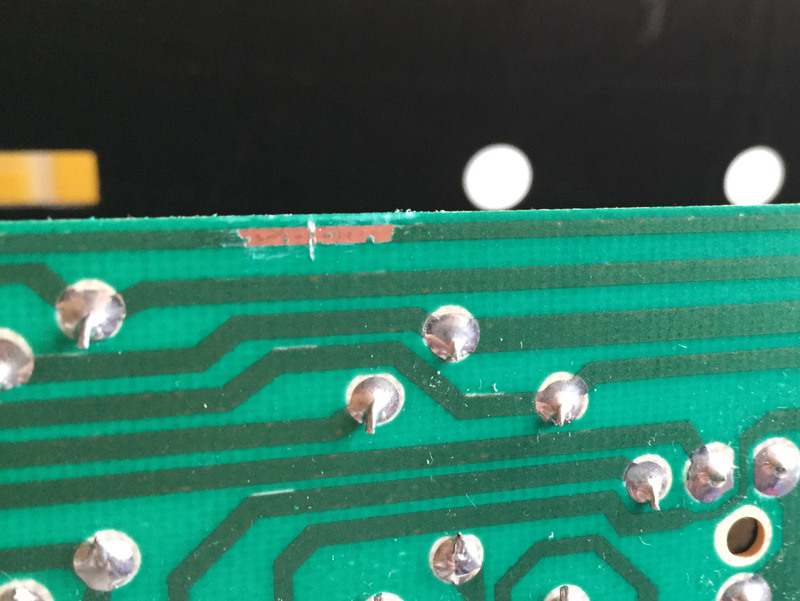 Cut the trace again, about 4 cm from R153, scrape off 0,5 cm of the solder mask on both sides. Solder an orange wire on the R153 side of the new cut. This is now gate in. 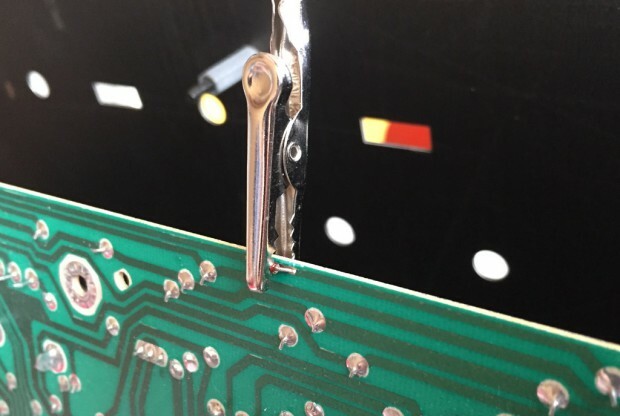 Solder a white wire on the other side of the cut, that leads to the diode. This wire is gate out. The diode is there for protection if an input signal is accidently plugged to the gate out jack. Cut the wires to a length so they can be routed nicely along the board and off to where you place the jacks and make sure they allow for some slack for the next time you want to remove the board. Solder the orange cable to the tip terminal of the jack. Solder the white cable to the switched terminal of the jack. Solder a black cable from ground on the existing audio out jack to the ring terminal of the jack. Now make sure everything works by connecting something that sends a v-trigger gate, also make sure the keyboard trig works when nothing is connected. If you want gate out as well, just add a non switching jack. Route the white gate out wire to the tip terminal of this jack, and also wire it to the switched terminal of the gate in jack. Now it’s time to start looking at U12, which is a dual op-amp in a 8 pin DIP package. Op-amps (operational amplifiers) are used for amplifying and inverting voltages. 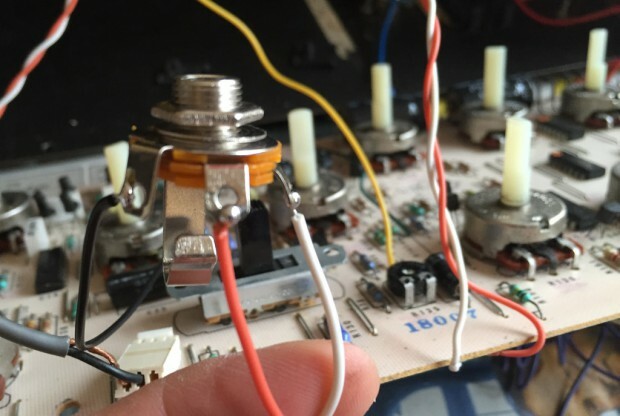 The service bulletin suggests you desolder it, mount a 8 pin DIP socket, and then place the op-amp back in the socket. There’s no perticular reason to do that, but hey why not? 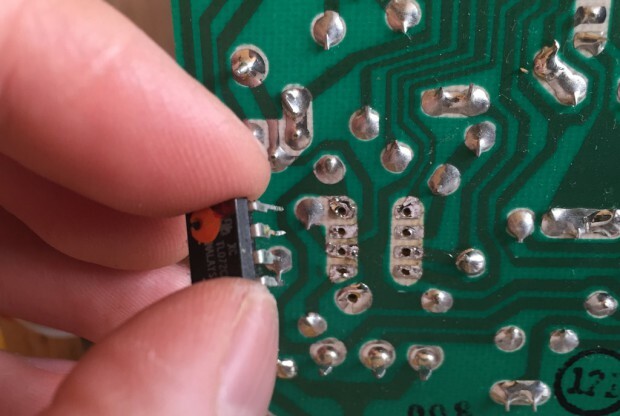 Desoldering can be done with a desoldering pump or a wick. I couldn’t get the wick to work at all, it didn’t absorb any solder. Maybe the solder used at the time of manufacturing requires some other wick than the one I was using. Contract the pump, heat a solder point, release the pump. 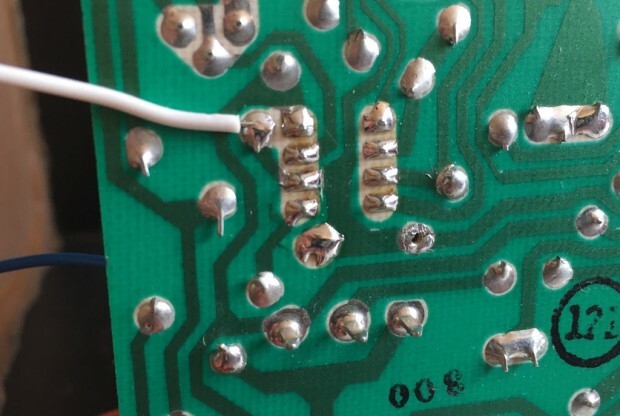 Repeat until you got all the solder gone from underneath the pins of U12. Solder the socket in place, reinsert U12. Cut the inside trace of U12 at pin 2, not the outside trace leading to R86. Unsolder the side of R90 leading to KEYB IN/OUT, and instead solder it to the side of R86 leading to pin 2. Solder a blue wire to the pad labelled KEYB IN/OUT. This is CV in. 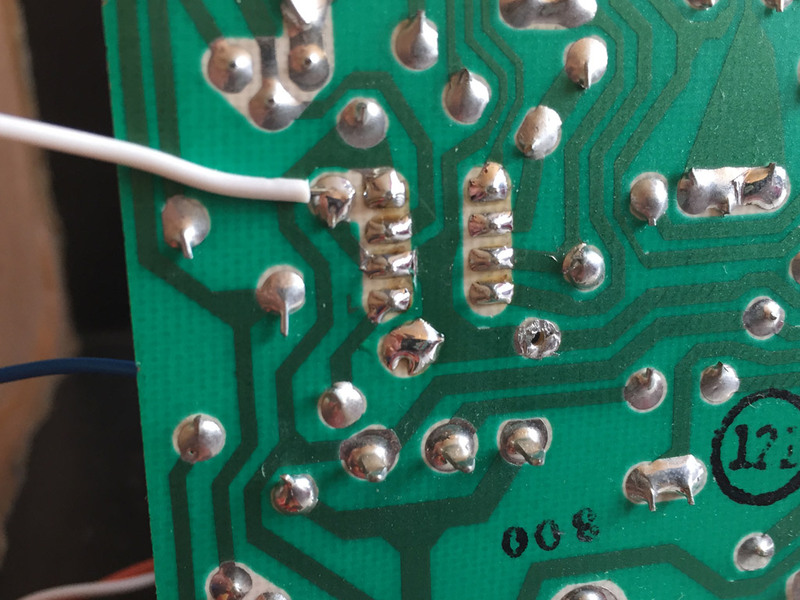 Solder a white wire to the bottom side or R86 leading to pin 2. This is CV out. Route the cables nicely and leave some slack to be able to remove the board. Solder the blue cable to the tip terminal of the jack. Solder the white wire to the switched terminal of the jack. Solder a black wire from ground on the gate in jack or from the audio out jack to the ring terminal. Verify that it’s working by supplying a control voltage, and verify that the keyboard still works when nothing is connected. If you want CV out as well, just add a non switching mono jack. Route the white CV out wire to the tip terminal of this jack, and also wire it to the switched terminal of the CV in jack. The last thing to do is to drill holes in the back panel to attach the jacks and then add labels. Please leave any comments, questions or corrections.